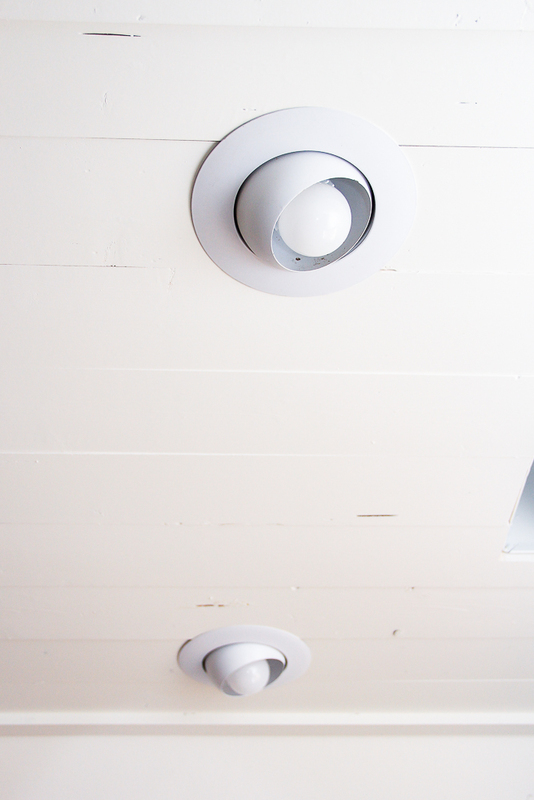 The electrician just left my house and we have LIGHTS in the attic! Woot! Check ’em out! 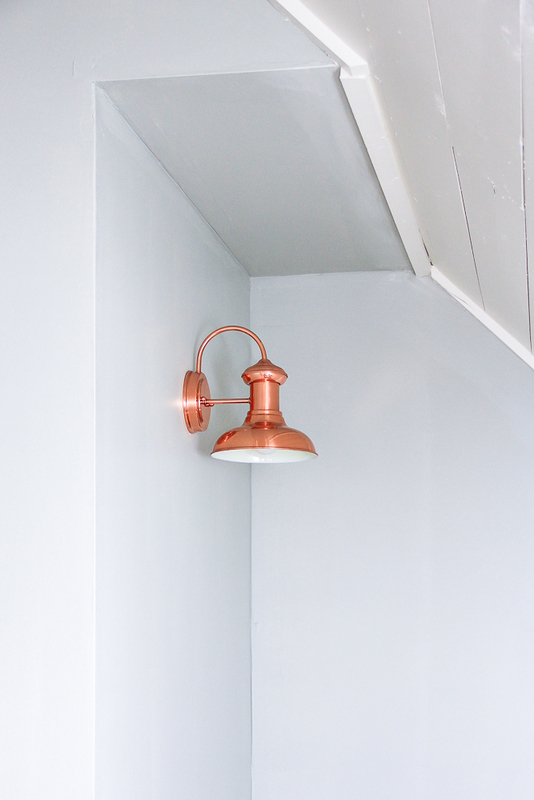 You guys have already seen these copper sconces in the last blog post, but here it is again, minus my fingers holding it up and pretending it was actually installed. There are three of these copper wall sconces- two on either side of where the desk area will be and one in the reading nook to shine some light in there. I had originally planned on getting the 12″ sconces for this area but I changed my mind at the last minute and got the smaller nine inchers instead. I think they look fine, and it saved a little money to go with the 9″ versus the 12. OK, all you design snobs. Don’t hate me for what you are about to see next. 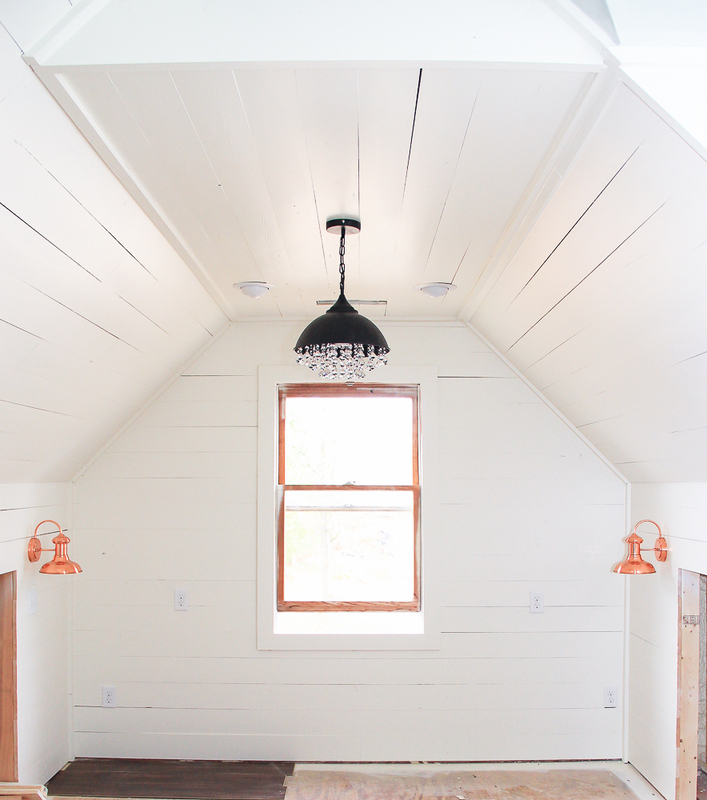 I installed a ceiling fan in this room. Yep. I sure did. 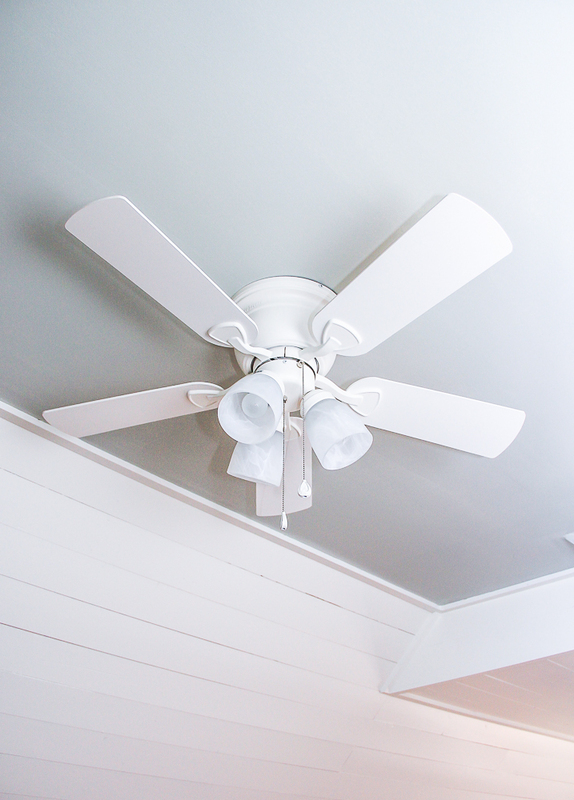 And it’s just a regular ol’ cheapo white ceiling fan with zero character. It was like $60 bucks. But I live in Alabama, and this is an ATTIC room, which means I will need some air moving up there or it will be hot as balls in this room for about 75% of the year. It’s just how we roll down here in the South and I am unapologetic about it. Not being a sweaty hot mess always wins out over style. 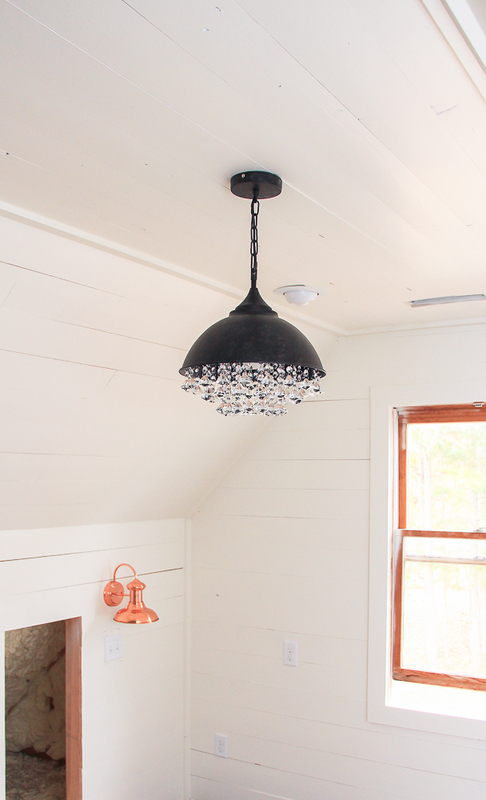 To make up for it, I chose this AMAZING vintage chandelier to be front and center in this room. I spotted this light fixture and loved it, but when I polled my facebook page it seemed to be a love-it-or-hate-it type of things. About half of y’all loved it and the other half thought it looked like a weird shower head complete with water droplets. I love it, though, and I’m so happy I bought it. It was only like $110 from Amazon, which I thought was reasonable compared to some other chandeliers I’ve seen out there. Now lemme just warn y’all. 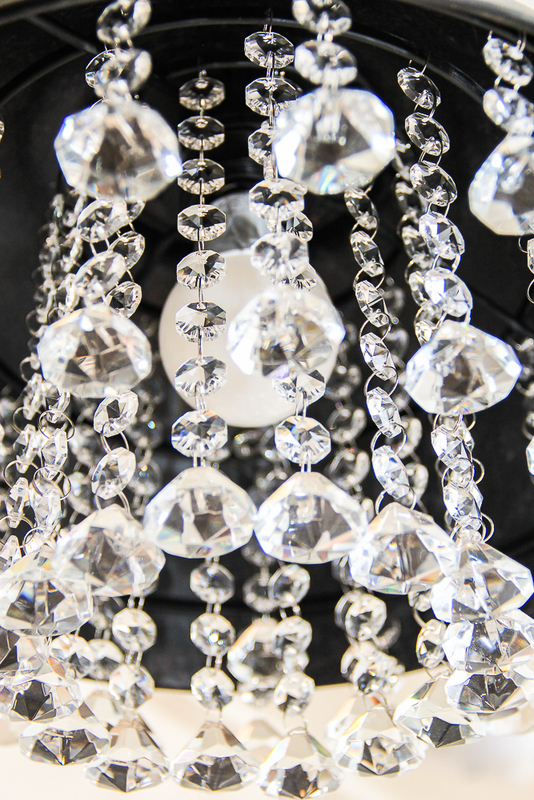 Assembly is required with this chandelier. I had to hook about forty-leven of these crystals onto the frame that fits inside the pendant. I had just gotten a manicure, too, which was NOT a good idea at all. I wasn’t looking forward to this task, but I turned on my Audible app and listened to some Outlander and just got it done. Once I got in the groove of sticking my thumbnail between two thin wires and spinning them onto the pre-drilled holes in the frame it actually went pretty fast. About 20 minutes and all those shimmering crystals were dangling like beads of water from the showerhead. 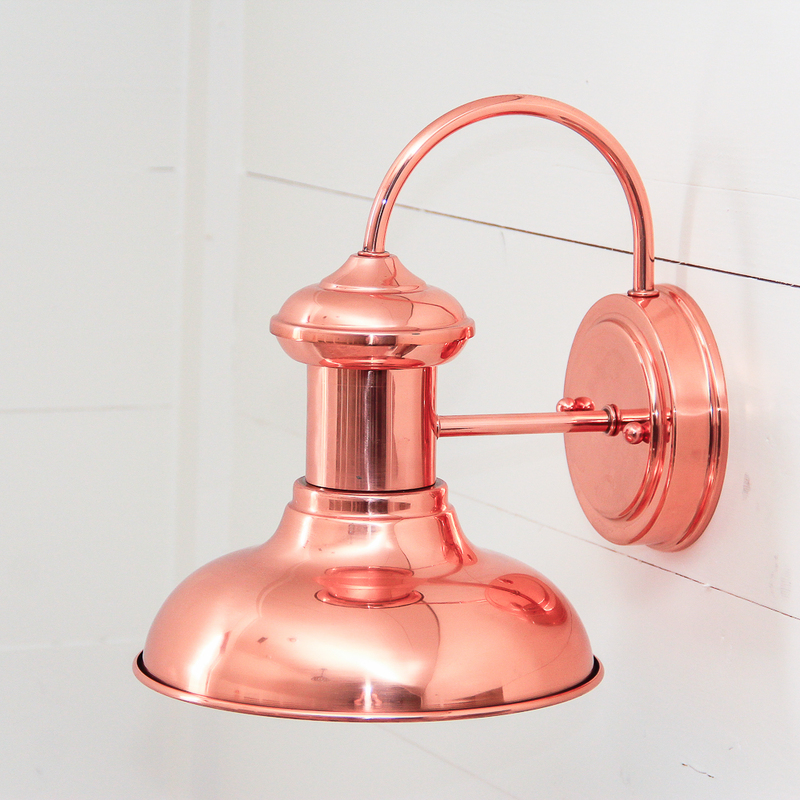 Those copper sconces are gorgeous! 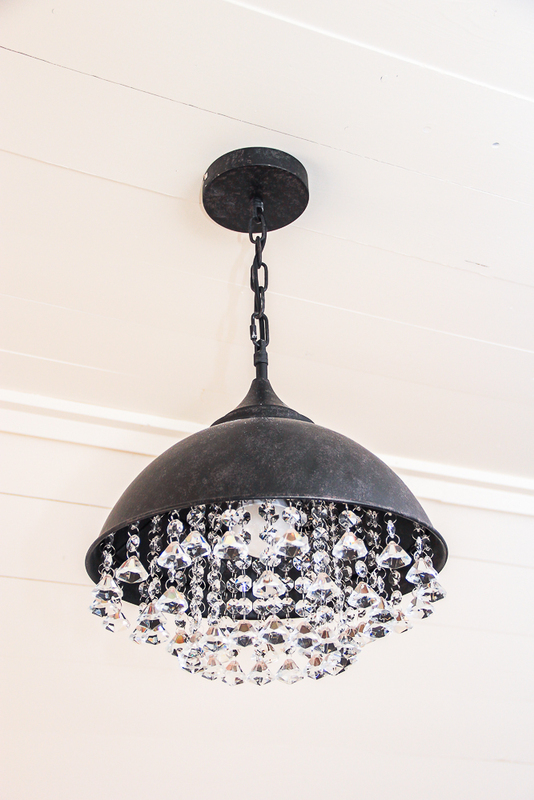 I have the same chandelier over my dining room table, love the industrial mixed with crystals. Putting all of those crystals on was not fun lol. Yeah that was a whole lotta danglies to hook on! 🙂 Thanks for the comment, Karen! I really like that chandelier! A lot! I think for me, I would want to paint the black another color but I love it! 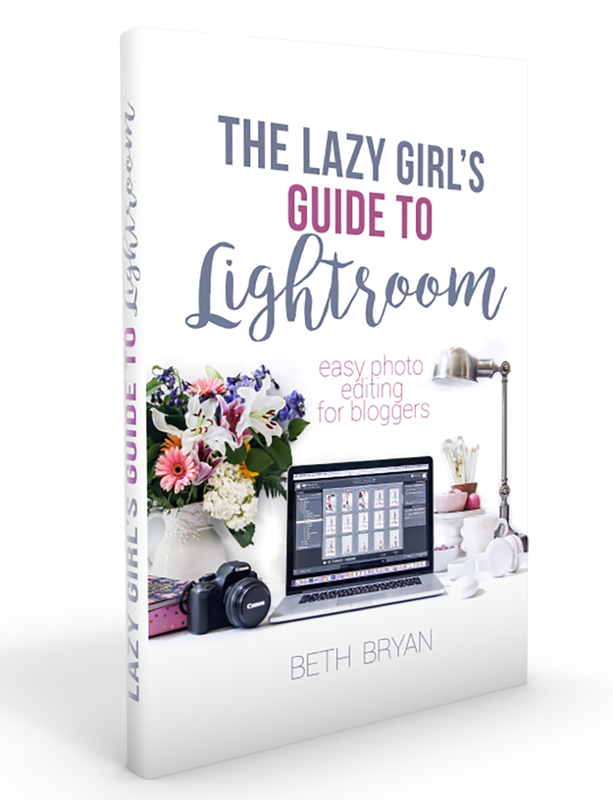 These ideas are amazing! Thank you for sharing!